Jump into medieval battles and skirmishes! The mighty Falcon and Wolf Knights are ready to settle the score, but their castles seem almost impregnable. Can your kid saddle a warhorse, deploy a catapult, use a halberd, or rain down arrows and uncover hidden traps? Get ready to defend your castles against the malicious intruders! 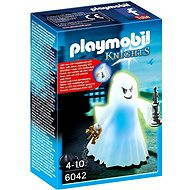 Playmobil Knights - Fight back! 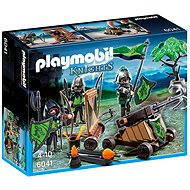 The Playmobil Knights are willing to throw themselves into battle with no hesitation. Their powerful catapult can shoot fire charges and deploy grappling hooks on the wall. Then you can easily reach the Falcon Knights Castle, occupy it, and seize the valuable treasure inside! An ogre and pugnacious dwarfs provide welcome reinforcements, whose strength and courage cannot be underestimated. This series is nicely complemented by the Playmobil Dragons playsets, as the dragons can boldly defend the castle and stave off enemies. 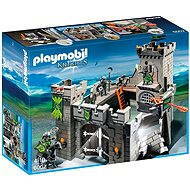 These sophisticated playsets are suitable for children 4+ years old and introduce them to a wondrous world of medieval castles, drawbridges, knights, weaponry, and other accessories. Playmobil is based on 7.5 cm tall plastic figures with bendable limbs and many accessories. All Playmobil Knights components are durable and designed to withstand your children’s games with the proverbial German thoroughness.